Fed up with your masks fogging up? Same with me. 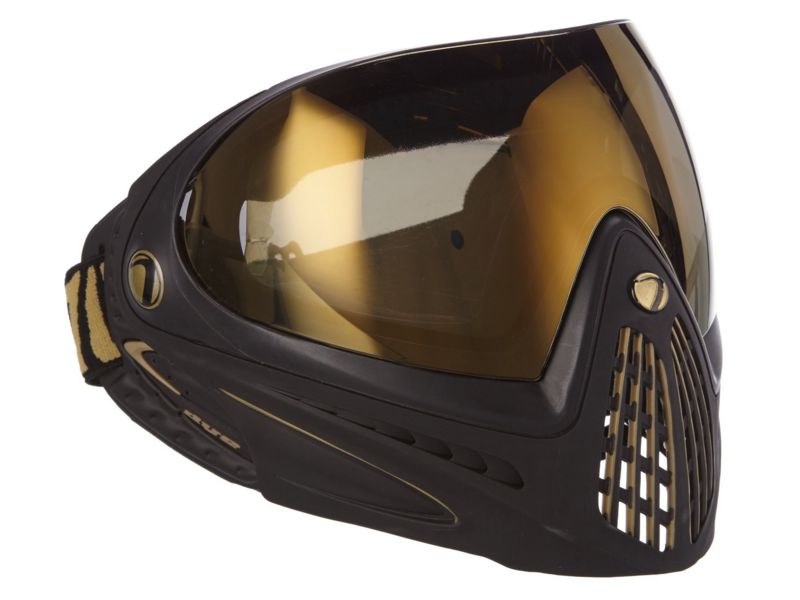 I started off using full seal goggles with a additional mesh mask to cover the lower half of my face, but this caused a hell of a lot of problems for me during games. The mesh mask although roomy, would still force moisture/condensation upwards into my goggles, fogging them up to the point I couldn’t see. I usually play at a local CQB site in the dark so this was incredibly annoying. The old soap trick wouldn’t even work, as they would eventually fog up, and the soap would make it even worse. This was such a problem I would have to go into the safe room every 10 minutes or so just because I couldn’t see out of my eye pro. It got to the point where I couldn’t play. The combination of separate face protection was incredibly uncomfortable too, as I’d have to re-adjust the 3-4 straps across my head every few minutes. 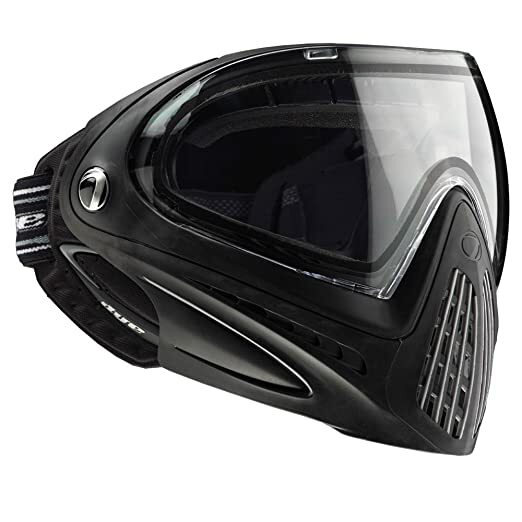 There are a few other options with full face masks; some cheaper options are the no brand full masks that have one strap that loops around your head. These have mesh eyelets and vented holes for your mouth. I ended up not going for one of those, as there’s a split in-between the eyes and the lower face protection, meaning it would of easily broke and left me with a un-protected face. I also had a few people tell me a few local sites had to stop using them because they weren’t capable of stopping close shots, meaning the mesh protecting your eyes wouldn’t stop a bb from going through. This was enough for me to not buy one. There are also these no name masks that seem to be more protective as they have a thick fiberglass design on the front, with either a zombie or a baseball style type mask that’s painted. These masks do look cool but they still use mesh in the eyes, and I was told that sometimes shards of bb’s could still penetrate if they hit the hard metal and effectively shred themselves through the small mesh holes in the eye protection. I’ve had bb’s shatter through my mesh mask before so I really didn’t want the chance of small plastic shards traveling 350fps towards my eyes. So I finally decided to look at the Dye mask for my airsoft mask. 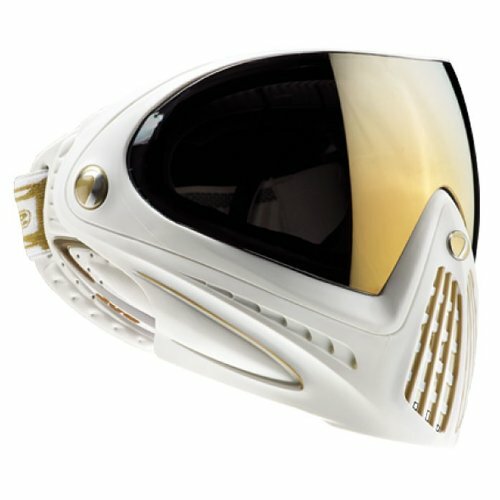 Specifically the Dye i4 as it had some colour ways with reflective visors, which looked pretty cool. The i4 has vertical vents to let moisture out whilst still having a full wraparound design. The i4 has a chin strap too which is really good for holding onto your head when your running or rolling, it’s so much better than the cheaper ones because they end up rolling up on your face and they get loose. The way the strap tightens on your head is more comfortable than any other airsoft mask I’ve ever used. The thermal lens has a special coating that stops the visor from fogging up, this was such a good option on the mask because I played a solid 7 hours and I never had any fogging problems with the i4, I would never of been able to do that with my old goggles. The i4 has a inbuilt polycarbonate lens too, rather than having a large screen of metal mesh, the polycarbonate comes in one sheet meaning you get a nice unobstructed view and it’s perfectly clear, the first time I had the mask on I could only notice the slight tint from the reflective coating, but the actual clarity was amazing. You usually end up with some distortion from cheaper masks but the i4 was incredibly clear. 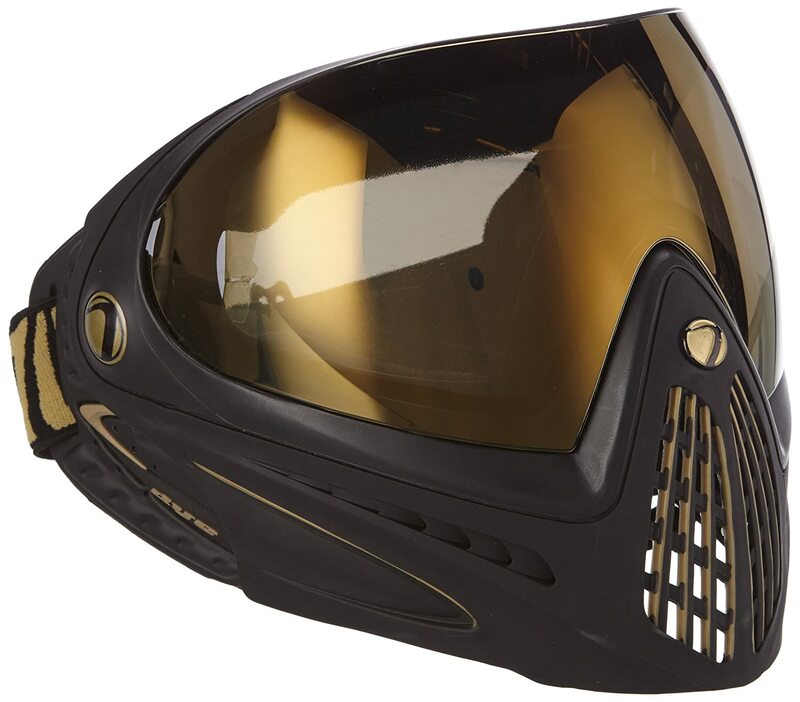 The polycarbonate is incredibly strong too, the actually mask is ASTM certified, meaning it’s gone through loads of national safety tests to make sure it’s actually a valid mask for ballistic sports. 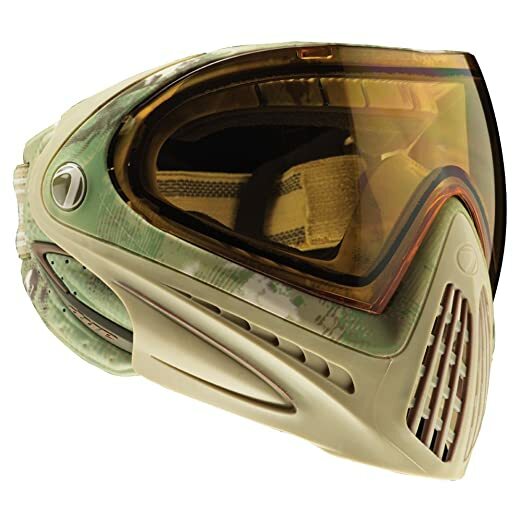 The mask is designed for paintball but it’s perfect for airsoft too. The foam lining around the mask makes it so comfortable, and as I said, I had it on for a good 7 hours and it really had no pinch points on my head. I ended up going for the black/thermal gold one as the gold reflective lens looked really nice. 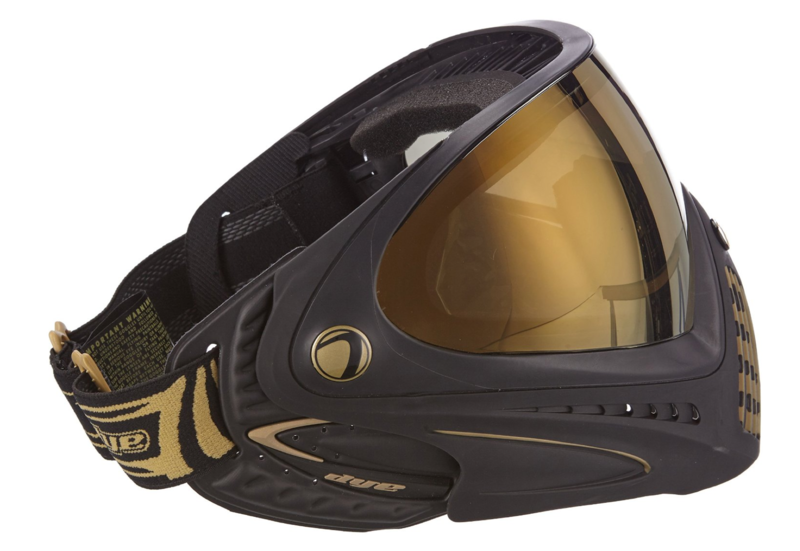 The dye range of masks all comes in great colours, with different lenses to mix it up. 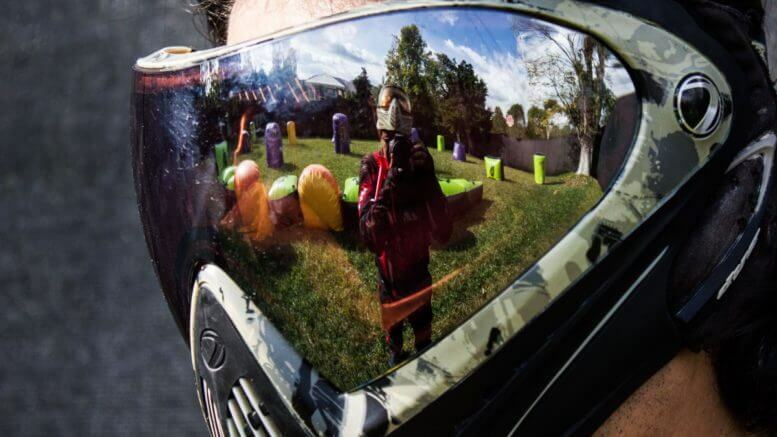 They have clear lenses too but the reflective lenses are awesome, especially when you’re in a game, there a definite cool factor when your wearing mirrored lenses. 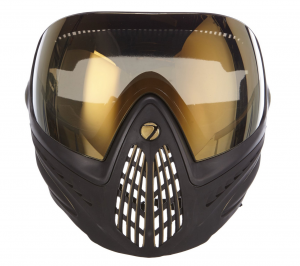 Be the first to comment on "Airsoft Protective Mask – Dye i4 Full Face Mask Review"